October is upon us and October means Halloween. For most people Halloween channels weird and wonderful wackiness in the weeks leading up to the 'big night', where all manners of costumes and fancy dress come out to play. For me, Halloween means bracing myself every time I catch up on my social media feeds. No, I'm not afraid of spooky ghosts or characters from popular horror movies - although the puppet from Saw will forever haunt my nightmares- creepy little git. I brace myself for the onslaught of bloody 'cuts' and 'carvings' people create on there arms and legs in the creative Old Hallows Eve spirit. Being part of the beauty blogging world, as a consumer, a (part-time) contributor and working in the beauty industry, I follow some incredible make-up artists and insanely talented men and women who can transform themselves and others into creations beyond your wildest imagination. I really believe that the power of make up combined with skill and training can do awesome things, and I love gorging on people's talent, day in and day out. However every October I prepare, protect and ready myself to be confronted by images on Instagram, Facebook and Twitter of cuts and markings, bloody and open wounds, all theatrical 'costume' make-up, but with the connotations that the damage is self-inflicted. The summer of 2012 I had 18 deep cuts on my left arm, red and inflamed with black angry stitches protruding. I spent the next year of my life afraid to wear short sleeves tops as I healed. I was afraid of people's reactions and I was afraid people would look at me and think I was a freak. The truth was that I was very ill and unfortunately mental illness' aren't always given the validation in society a physical sickness is. People that were supposed to be my friends have called me a freak. Girls have used my scars against me in silly arguments. Employers have asked me about them and every single day I watch people meet me, smile, be polite, but steal glances at my arms. So on that note - you'll have to forgive me if I don't want to be your Halloween freak. I don't want me, my illness or someone suffering as I did to be trotted out like some 18th centry travelling circus to be gawked at for entertainment. 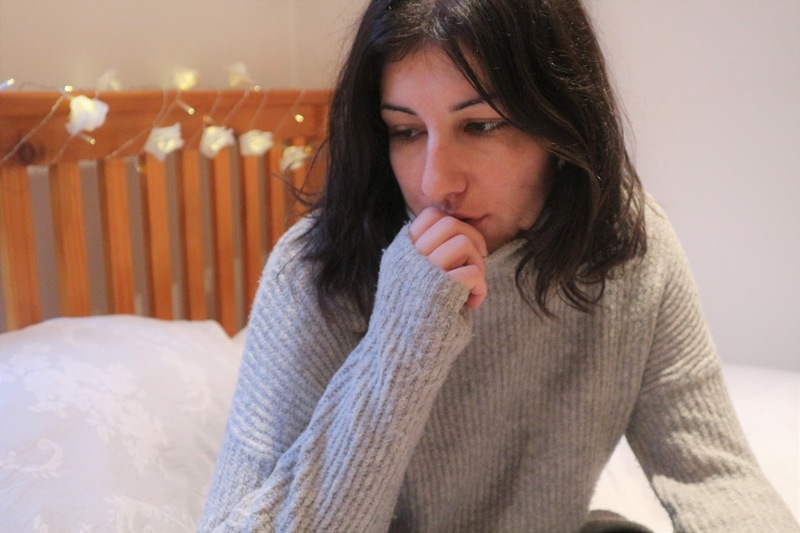 Hannah Lisa is a Mental Health and Lifestyle blogger who first introduced me to the concept of 'Triggering', and how damaging irresponsible sharing of images and sharing of information can be to someone who is still suffering with their particular strain of mental illness. I live with the consequences of my illness, not only in the physical scarring but the emotional scarring that self harm leaves behind. When I see images of cuts or scars my immediate response is so conflicting. My knee-jerk reaction is that I like how they look. I talked about the connotations between self harm and make up swatches in another post where I went into more detail on the aesthetic element of self harming and how confusing it can be. I then have to consciously 'check myself' and recoil. If I consider myself to be of sound health and sound mind and I still get confused when met with images of cuts, then what on earth is someone who is currently suffering going to feel? How do we know what behaviours our Halloween 'gimmick' is triggering them to do? This 'trend' was no great conspiracy to (further) marginalise those suffering with mental illness. It's just another example of people with no first hand experience of an illness treating it recklessly and the rest of us being too busy to stop for a second and think compassionately about the real people this will effect. I don't think me writing this blog post will stop people using self-harm as a Halloween gimmick, but if one person reading this thinks one compassionate thought about another persons experience, then I can live with that. As for me, only 11 more days of 'bracing'.